The Transcaucasian Socialist Federative Soviet Republic (Transcaucasian SFSR) was a constituent republic of the Soviet Union from 1922 to 1936 and consisted of Armenia, Azerbaijan, and Georgia. The Transcaucasian SFSR was separated from Russia by the Caucasus Mountains, hence they were known as the Transcaucasian Republics. 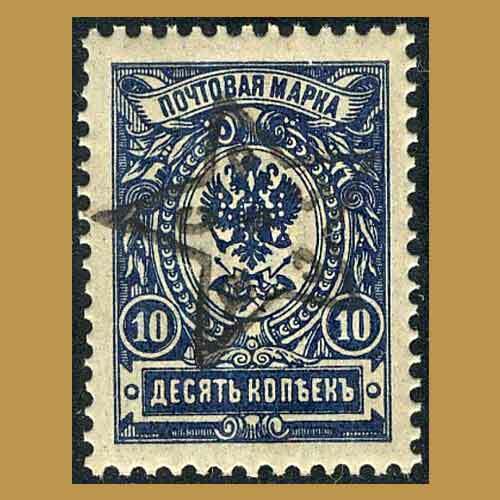 The first issue of the Transcaucasian Federated Republics consisted of eight 1909-17 Russian stamps overprinted with a five-point star. They were released September 15, 1923. These first issues consisted of stamps of Russia and Armenia overprinted with a star containing the five-letter acronym ????? of the federation inside the points. Shortly thereafter, the TSFSR issued stamps of its own design.